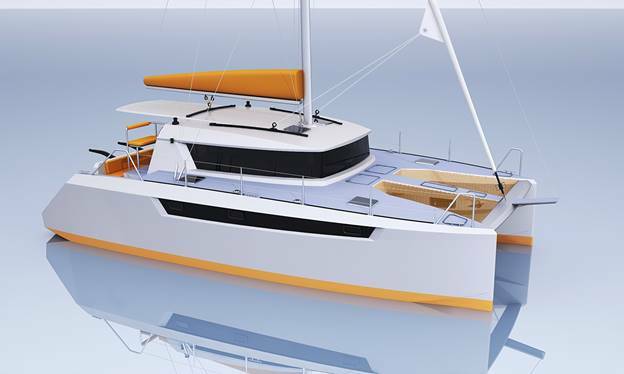 This boat is designed as cruising catamaran built in flat panels of sandwich (either foam or honeycomb). 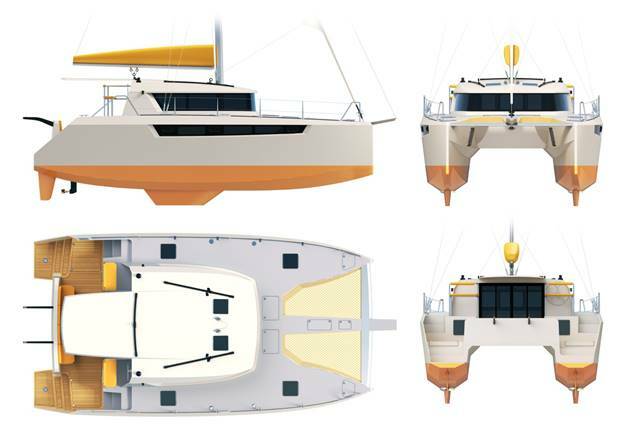 We use proven hull shape from our previous boats, and completely re-shaped the deck and cabin according to recent styling trends. Options with low aspect ration skegs or daggerboars are available.